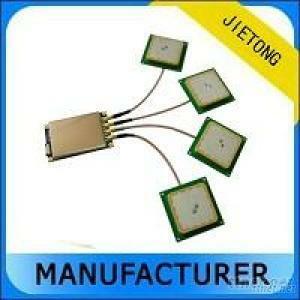 JT-918 as a high efficiency and low cost UHF Tag reading/writing module, has independent intellectual property rights. It works under the frequency from 902MHz~928MHz. With an 8 dbi antenna and its tag, the reading range could be expanded to 12 metre. It is easy and fast to build an RFID system with simple power supply and interface. JT-918 can be widely applied to sophisticated management system such as logistics, costume, asset management, etc.